← Feel it, draw it. Posted on March 11, 2015, in Uncategorized and tagged Dogs, Doodlemum, Drawing, Family, Humour, Illustration, Pen and Ink, Sketchbook. Bookmark the permalink. 4 Comments. Love your sketches! Looks a bit like our dog, lol. Cute! Believe it or not, I have a cat who does almost the same thing! 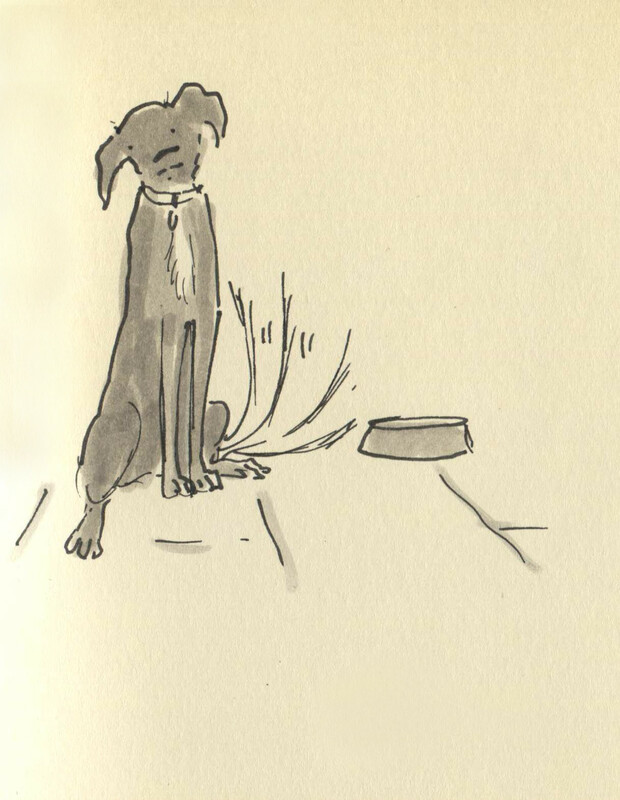 Years ago, my babysitter told met hat she’d fed our dog, Sally, because …”She looked hungry, she didn’t look like she’d had her tea!” Well, she had, and ALL dogs look permanently hungry, it’s what they do!